Discussion in 'Rugby Matches' started by ForceFan, Apr 10, 2019. Some interesting changes to the XXXIII for the Dragons game. Resting the main play-makers from the first 2 games - Ian Prior, Andrew Deegan and Jack McGregor. Pleasing to see Carlo Tizzano (pictured) get his first run-on start after recovering from a niggling groin injury - especially after his good showing with the UK-touring Australia U20 team last year. Scrum-half Michael McDonald comes from Future Force Academy/Palmyra and this week was named in the Australia 2019 Oceania U20 squad. Thank goodness that Minderoo/Western Force are keeping the development pathways open for rugby players in WA. 9 WA developed players in Friday's XXXIII. 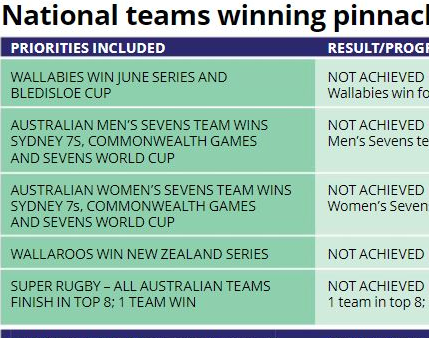 NOTE: RA's contribution to Community Rugby in WA last year was $205k. Compare that to the $227k to SA and $362k for Victoria. APDs on their way to Perth. Many of those players are from Otago but must admit I dunno know who half those guys are. Here's a quiz for the rugby cognoscienti - fill in the gaps! Asia Pacific Dragons have also named their team for Friday's clash. But some decent players in there, based on a solid Otago core. Here's hoping for a good match! That's PaarlBok's line - get your own! How about predicting the crowd, over 10k or under? Over 10k. But it's not enough. Twiggy has been contained at least for now. Really need GRR to actually happen next season. Public visibility of it seems low. First Singapore born and raised young player in the APDs squad for Friday’s game in Perth. The Asia Pacific Dragons have sent an ominous warning to the Western Force ahead of their Friday night blockbuster clash, stacking their squad with 11 international test players as well as an Australian 7’s representative. The Singapore based side has a proud history, formed back in 2011, they have played games across the globe and bring a strong legacy and experience into a full-time professional program. 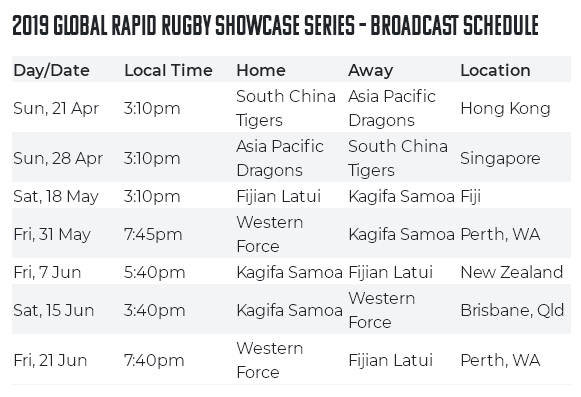 After three months together training and refining their game style, Friday’s match will be the Asia Pacific Dragons debut in the Global Rapid Rugby Showcase. Fijian International Asaeli Tikoirotuma, who will start on the right wing, will be one the side’s key attacking weapons. Having played in the English Premiership with Harlequins and London Irish, as well as Super Rugby with the Chiefs, Tikoirotuma will revel in the open expanses provided by Rapid Rugby’s innovative laws. Boasting some of the fastest feet going around, Australian 7’s representative Junior Laloifi will start at fullback for the visitors. Look out for him to light up the scoreboard, the 25-year-old a proven threat having been the leading try scorer in the first two seasons of the National Rugby Championship before graduating to Super Rugby in 2016 with the Queensland Reds. The Dragons will be captained by Samoan International Stacey Illi, who forms a tough centre pairing with Tongan 2015 World Cup representative Latiume Fosita. Another Tongan star, Nili Latu, will give the forwards plenty of punch. The evergreen 37-year-old has been training the house down since joining the Asia Pacific Dragon following four years in the English Premiership with the Newcastle Falcons. The Dragons travel to Perth to tackle a Western Force side high on confidence having won their opening two matches and scored 10 tries in the process. While wary of the home side’s attacking nous, the Dragons will fight fire with fire, drawing on the clubs philosophy and tradition of attacking and entertaining rugby. 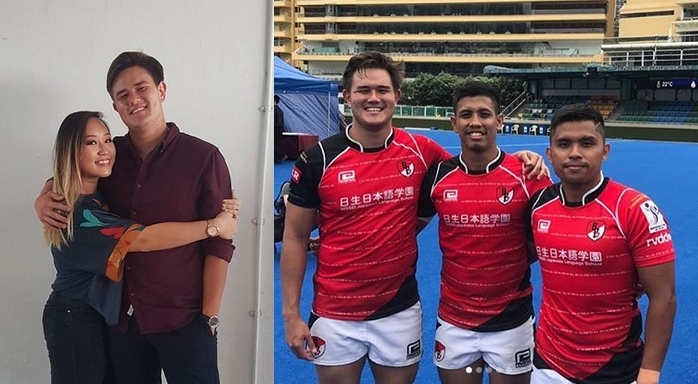 Asia Pacific Dragons owner, Jon Phelps, said the Asia Showcase Series provided a wonderful platform to compete internationally for a new global audience against some of rugby finest. “Our vision is to build a team with the largest rugby fanbase in the world, a team that Asia, the Pacific Islands and rugby-loving fans can support and call their own,” Mr Phelps said. The largest rugby fanbase in the world, eh? Mmmm. The problem arises with investing in the literal sacred truth of texts that are promotional bumpf. It can get one into trouble. No names, no pack drill, naturally. I mean look at your beloved ARU. Dear Wambers, does anyone believe this gospel? Can I get an Amen?! Sadly to see tonight's game you'd have to be at HBF Park as it's not being broadcast. But the two APD games in Singapore and Honkers will be live on SBS VICELAND, Fox, Kayo, Sky NZ and the rest. Of the 12 more showcase games to go, 7 will be broadcast LIVE. Tonight's game is not being shown live but is still available delayed on SBS Viceland at 2230 hrs WST. Got a feeling that is a SC Tigers replay, FF. I might record that anyway, tho. Fantastic to see the Western Force involve young club rugby players in the handing out of jerseys to young local talent Carlo Tizzano (UWA) and Michael McDonald (Palmyra). kiap and RebelYell like this.